Eye care matters for kids. A good education for children depends on three things: good schools, great teachers, and strong vision. The American Optometric Association recommends pediatric exams for children at six months, three years, and right before starting kindergarten. Your child’s eyes are constantly in use in the classroom and while playing. If your child has uncorrected vision or eye health problems, their learning, social, and athletic abilities may suffer. Simply put, high quality eye care can help your children reach their highest potential. At Weston Contact Lens Institute, our goal is to ensure your child’s vision is optimal and there are no eye health concerns. Eye care for children differs from care for adults. Children rarely complain about eye problems because they don’t know what normal vision is. If their vision is blurry from early on in their life, they may not know clearer vision exists. As such, early detection and treatment of vision problems in children can be exceedingly difficult but remain the most important steps to optimize vision in children. 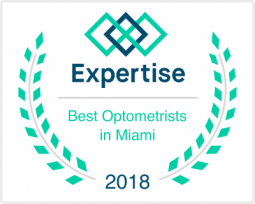 Following the American Optometric Association’s recommendation, regular visits to one’s eye doctor are the best way to achieve these steps with your kids. What about after your child starts kindergarten? 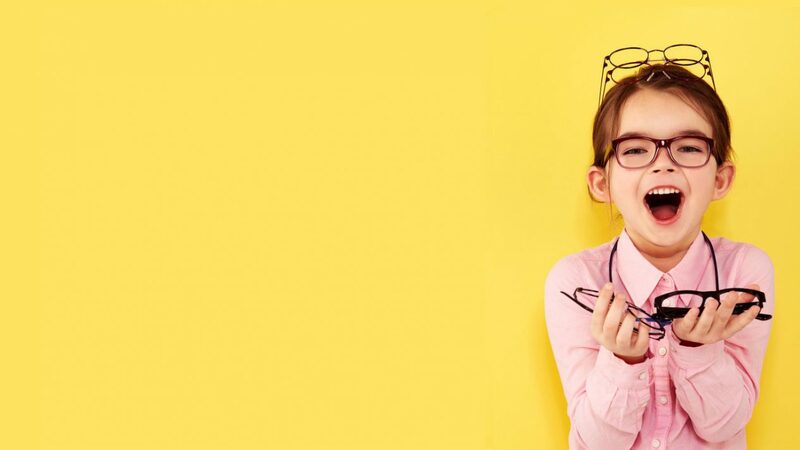 Are kids in the clear if vision problems have not been detected by this point? Not necessarily. Vision can change without you or your child noticing. Often, these changes occur slowly and subtly, which can make detection a challenge until the problem has progressed substantially. As such, children should visit the Weston optometrist at least every one to two years, or more frequently, as recommended. If your child does have a vision problem, your eye doctor will be able to plan the smartest treatment method. Depending on the nature of the concern, your optometrist may prescribe treatments like eyeglasses, contact lenses, or vision therapy. Visiting your local eye doctor is not the most pleasurable experience for children. From dental offices to pediatricians to eye doctors, kids often don’t like the atmosphere of medical offices or the procedures involved in checkups and treatments. Frankly, many adults don’t like going to the doctor, either, and it’s often because they still carry fears and bad experiences with them from childhood. At Weston Contact Lens Institute, we provide your children with the most pleasant checkup and treatment experiences possible. We are trained to assess vision and eye health for all age groups and grade levels and have worked with many young patients in the past. We will work hard to make your child’s eye exam as comfortable and enjoyable as possible. We know scheduling appointments for kids can be a logistical hurdle. Do you pull your kids out of school—and interrupt your own workday—or try to find a practitioner with more flexible hours? At Weston Contact Lens Institute, we offer daily eye exams after school hours until 6:30 p.m. These extended hours make it easier for us (and you) to fit kids into the schedule. If contact lenses are necessary, we will do everything we can to ensure a comfortable fit for your child. Before contact lenses can be prescribed, it is important to ensure the cornea—the clear dome of tissue on the surface of the eye—is healthy and intact with no underlying problems. If the corneal tissue is healthy and vision correction is necessary, we will carefully measure the curvature of the cornea to ensure the contact lens moves properly and is comfortable.